Whitesell is proud to announce its inclusion in the 57th Annual Industrial Review, “New Jersey’s Industrial Real Estate Market: Incredibly Strong” appearing in the April issue of New Jersey Business Magazine. The article, written by Eric C. Peterson, discusses NJ’s robust industrial market in light of e-commerce effects on supply chain logistics and demand for big-box modern warehouse structures, NJ’s competitive refocus for attracting and retaining business, statewide infrastructure improvement projects, resurgence in specialized manufacturing, institutional money, and competitive benefits enabled by NJ’s location. Two recent Whitesell projects at the Haines Center were prominently featured in the Industrial Review: the 677,000 sq ft build to suit for lease project for Burlington Stores, Inc. & 410,000 sq ft build to suit for lease project to Destination Maternity Corporation. 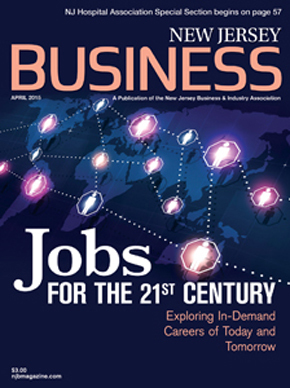 To view the New Jersey Business Magazine article, click the link below. The article appears on pages 30 - 34.